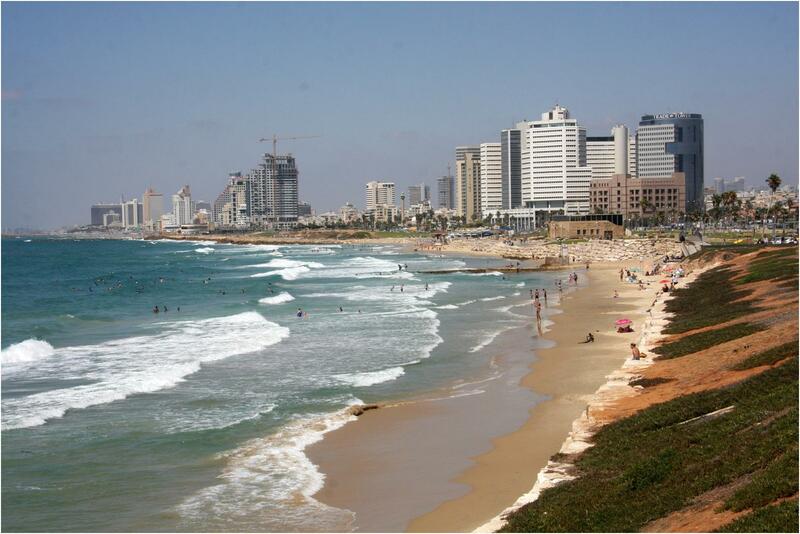 Tel Aviv is, especially for a Southern Californian, the most comfortably familiar city in Israel. It feels at once urban and yet laid back. The sensation is not unlike a beach community in San Diego or Los Angeles; secular, hedonistic and modern. While Jerusalem retains, at least in technical terms, its status as Israel’s largest city, Tel Aviv is clearly the country’s largest metropolitan area. Where Jerusalem is busy annexing whatever it can, Greater Tel Aviv is a hodgepodge of technically separate cities between which there is little realistic distinction. But even at that, Tel Aviv is deceptively small. While it feels big it is actually just playing bigger than it is: the Charles Barkley of cities. And there is no better way to get a sense of just exactly what Tel Aviv really is than to see it from a bicycle. The city has a real dedication to bike lanes and traffic is generally respectful of riders, if only because bicyclists are less of a hazard than Israel’s uniformly-certifiable motor scooter fleet. The slower pace of the bike, as always, allows you to see and feel the city. Riding from Tel Aviv’s northern extent all the way to the Jaffa border will take less than half an hour. 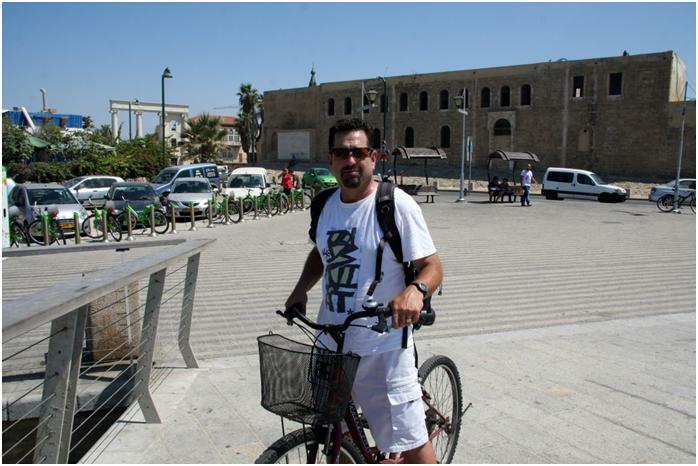 Rent a bike in Tel Aviv from O-fan at 197 Ben Yehuda Street (03-54442292). Tel Aviv has a number of high end restaurants, some kosher, some not, and some rivaling Europe’s best. But for me Israeli cuisine is all about the street food. Tel Aviv’s hidden culinary gem — touched on elsewhere on this blog — is the restaurants on Etzel Street in the Hatikvah Quarter. Shipudi Hatikva restaurant is one of long-tenured standouts of the area with its resume hung on the walls for all to see in the form of an extensive photo gallery of political and footballing greats. 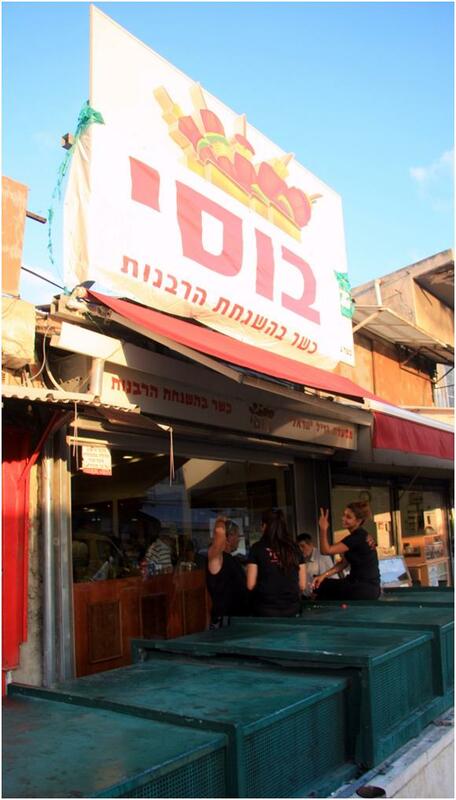 Shipudi Hatikva is at 37 Etzel Street (03-6874565). 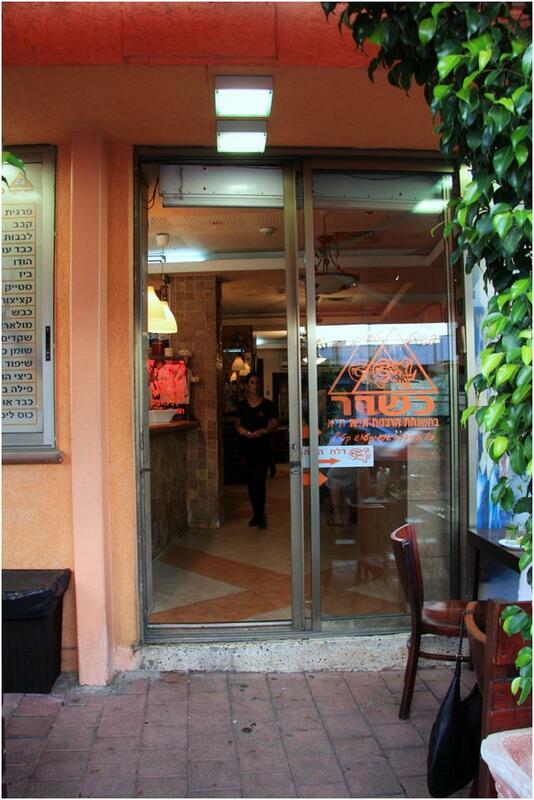 But my favorite restaurant in the Hatikvah Quarter is definitely Busi, at 41 Etzel Street (03-6881034). Whether at Busi or at Shipudi Hatikva, the point is kebabs of various meats — beef, lamb, duck, foie gras, as well as offal such as chicken livers, spleens, cows’ udders and more — served with Iraqi pita (similar to the pita you know but thinner and larger) and a dazzling range of salads (pickled vegetables, green salads, salsa-like concoctions) and a brilliant and fiery Yeminite hot preparation called “Zhug.” The Zhug is not for the faint of heart. The food is spectacular. Do not miss the foie gras kebabs. Tel Aviv is a place apart in Israel. It is, in many ways, at the opposite extreme within Israeli culture from its serious sibling, Jerusalem. But to get a feel for the place it must be taken at a slower pace than the place seems to want, and you have to get off of the tourist track.